All-Star Batman has gotten very unpredictable in its second arc, “Ends Of The Earth,” which teams writer Scott Snyder with different artists for single-issue stories spotlighting a different villain in Batman’s rogues gallery. Snyder has also been changing his storytelling style with each issue, particularly when it comes to the use of narration. Whereas the first arc was a big action extravaganza, this current story is more formally experimental, and it’s made the series even more compelling by showing off Snyder’s versatility and his ability to work to the strengths of his artists. All-Star Batman #9 features the return of Snyder’s frequent collaborator Jock, who drew the Mr. Freeze-centric #6, but the execution of this issue is very different, focusing on thrilling action without heavy narration. This exclusive preview of next week’s All-Star Batman #9 spotlights Jock’s dramatic action staging as Batman races through the streets of Washington, D.C. to stop the mastermind behind all of his recent troubles. The first page is a strong example of how this creative team works together to give the story intense visual impact: Snyder’s script, Jock’s composition, and Lee Loughridge’s coloring all build tension that is released with the spectacular splash page that immediately follows, and Steve Wands integrates the issue’s title and credits into the artwork to make the lettering a dynamic element. This book is gorgeous, and Francesco Francavilla’s artwork on “The Cursed Wheel” back-up story is the cherry on top of every issue in this arc, delivering striking, high-contrast visuals that bring an extra layer of horror to the Riddler’s mystery. 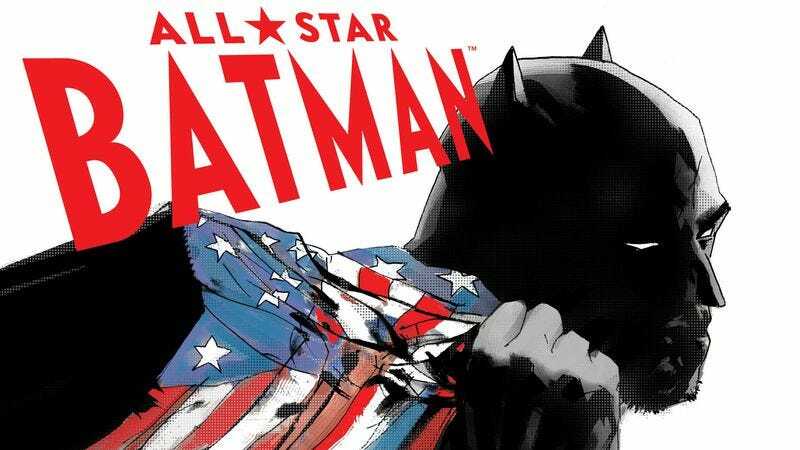 Snyder is working with some of the industry’s top talent on All-Star Batman, and this series is living up to the adjective in its title.